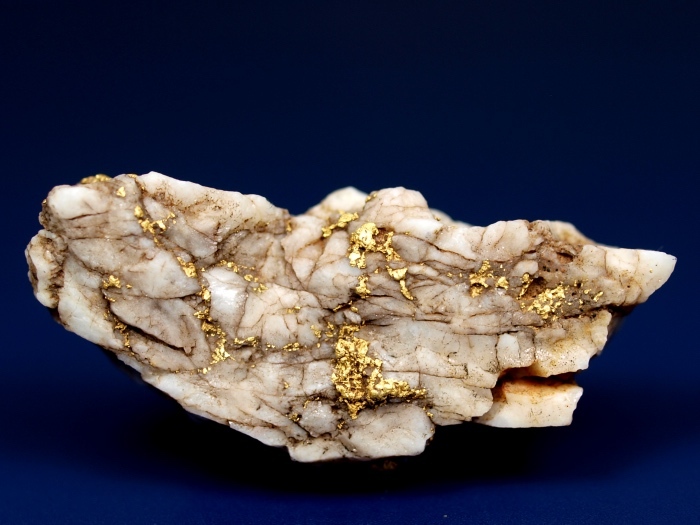 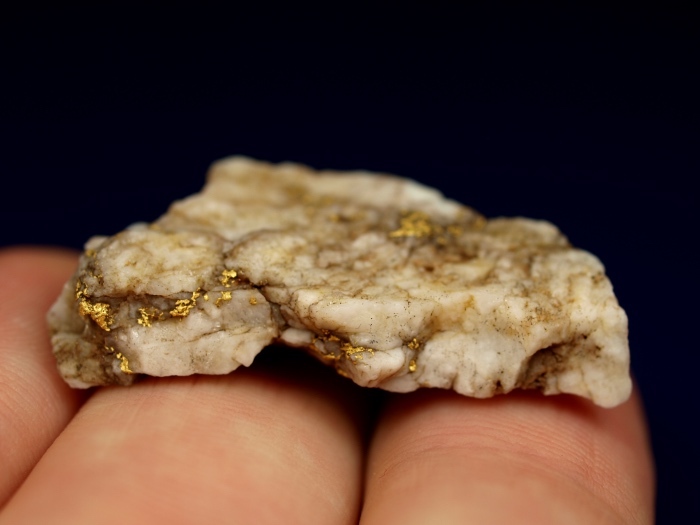 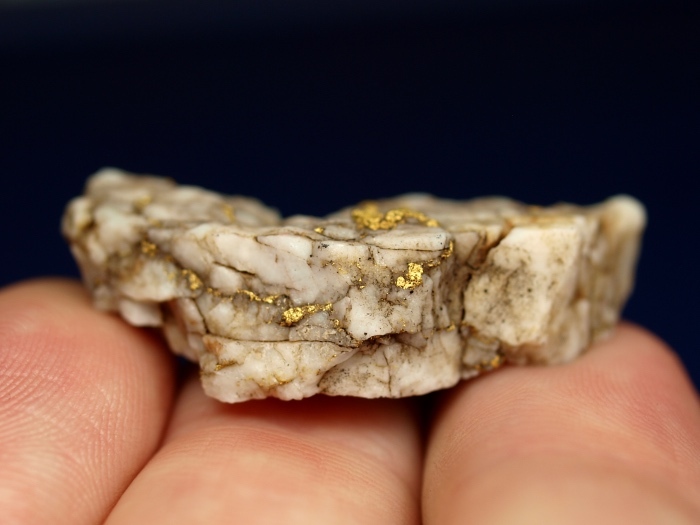 This lovely piece of raw gold in quartz was found last year by a prospector using a metal detector in a remote part of Siskiyou County, California. 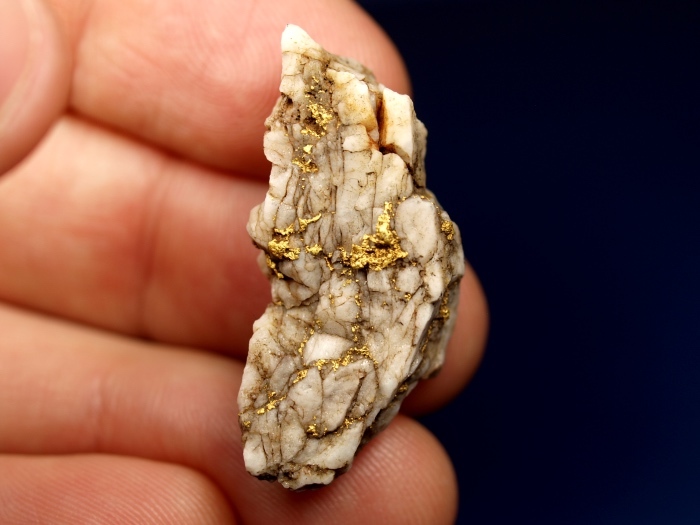 Gold veins are scattered all throughout this piece, with small outcrops of gold visible on all sizes in many locations. 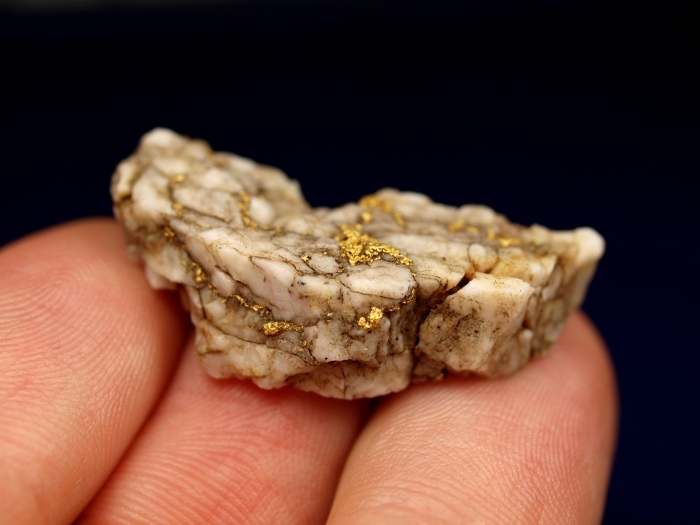 A fine example of truly high-grade ore from California.